Sooner or later, anyone working in the paranormal field will be faced with a photograph which demands explanation, be it an alien big cat, UFO or, most commonly in this author’s case, ghost. 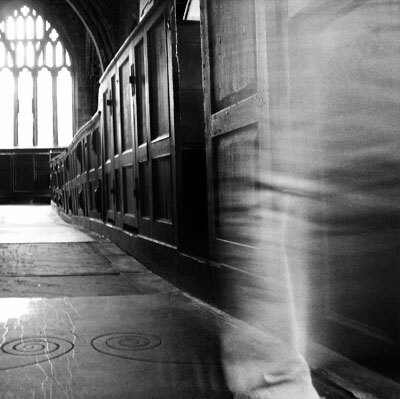 Photography and the paranormal have gone hand in hand since the former’s creation, so it is no surprise that the visual medium remains an instrument frequently used to argue the existence of paranormal phenomenon. In order to create a correctly exposed image on film or electronic sensor, three settings come into play – shutter speed (or exposure time), aperture (the size of the hole which allows light into the lens) and ISO (the sensitivity to light of the film or sensor). The majority of cameras are optimised to take photographs in ideal conditions – bright natural light in external environments – so when used in more challenging situations, the resulting image can display unfamiliar results as the camera adjusts one or more of the aforementioned settings to create a perfect exposure in lower light levels. One way to ensure an image is correctly exposed is to allow light an increased amount of time to fall on the film or sensor. In normal daylight conditions, a camera will typically have an exposure time of 1/250, that is 250th of a second. This is quick enough to ‘freeze’ the action for most normal demands (family photos during days out, etc). Lower light levels demand slower shutter speeds, which can capture blur either from camera shake or subject movement. Blurred subject movement is demonstrated in this image, taken in a church with a shutter speed of one second, the camera resting on the floor as to avoid blurring from camera shake. The ‘misty’ object on the right hand side is the leg of someone walking into the frame, the shutter speed slow enough to capture some of the church and some of the person, creating a ‘ghostly’ effect. Much less likely to create mysterious photographic objects, a large aperture can create out of focus areas on a photograph which may be misinterpreted. Small, normally identifiable light sources in the background of photographs can look like unpinned balls of light, while people can look much thinner and will lose definition. The light sensitively of film and digital sensors is measured using ISO – the higher the ISO number, the greater the light sensitivity of the sensor. By default, most digital cameras have ISO settings starting at 100, and increasing to around 3200. The trade-off for having an increased light sensitivity is digital noise, which can lead to degraded image quality. This in turn can make any meaningful photo analysis more difficult and can increase chances of pareidolia (see below). Recently, with smaller, more compact cameras and smart phones, another technical factor has come into play in the creation of paranormal photographs – the flash (or strobe). The reduction of distance between flash and lens creates ‘orbs’, bright circular objects which appear on images, discussion of which still divide the paranormal community. Some believe that orbs are spirits, not perceived by the naked eye, fleetingly caught only on camera. While cameras are capable of recording objects that the human eye cannot perceive, in the case of orbs, these objects are dust, water droplets and airborne contaminants which reflect the light given off by a built-in camera flash (a technical issue known as backscatter). Variations of orbs can be created by stray hairs falling over the lens, or even camera straps, creating white bands of light which some investigators misunderstand and have christened ‘vortexes’. Human memory is flawed. Bugs Bunny at Disneyland will tell you that (1). We cannot remember what happened at every second of every day. Worse still, we try to fill in those blanks when pressed. When presented with a photograph which contains an alleged ghost that looks like a ‘normal’ person together with the words ‘there was no one else there at the time’, investigators should be wary. Can that statement be said with absolute certainty? Did the photographer have complete environmental control to prevent people straying into shot? Was there really no one else present, or does the photographer just remember no one else being so? Pareidolia is not so much as a flaw but a survival mechanism. The phenomenon enables us to create order out of chaos, and to see recognisable objects, such as faces, from random stimulus. Some photographs act as a spontaneous Rorschach test – we see a fairy instead of the shadows, branch and leaf which created it. A dirty window is a demonic looking entity. A spot of mould a skull (demonstrated by the image opposite). As a thumb rule, the lower the image quality, the more likely we are to see something which is not there as the human brain attempts to create structure. A high ISO will degrade the image, and some file formats, such as jpegs, will compress photographs and create additional artefacts which can be misinterpreted. There are dozens of cognitive based errors which will manifest in witness statements which accompany the paranormal photograph and also in the investigator analysing the evidence. A complete list is outside the scope of this article, but a good place to start is here. This article opened by stating that photography and the paranormal have gone hand in hand since the invention of the photographic process. It would be more accurate to say that since the early days of its modern conception, photographic trickery has accompanied claims of the paranormal. Although laughable by today’s standards, Victorian spirit photography remained popular for several decades, while hoaxed photographs of other paranormal entities (the Loch Ness monster, Cottingley fairies, UFOs) continue to be used by the mainstream media. 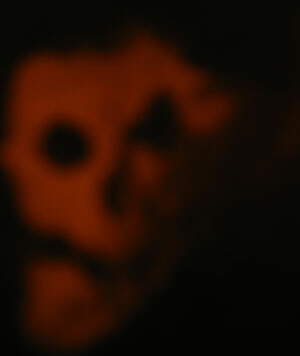 It is difficult to document all the ways in which a paranormal photograph can be created. Prior to the advent of the home computer, hoaxers would have to rely on deliberately manipulating camera settings, creating models, or having access to a darkroom to doctor negatives and / or the print process. As technology evolved, it became easier to create paranormal entities in post-production. The late 1990s and 2000s were dominated by Photoshop creations, and the 2010s’ heralded easily accessible mobile technology with free dedicated software to create supernatural entities. Once the categories of error, misidentification and trickery have been ruled out, the investigator is left with an image which defies their understanding. However, this is not to say that the image is evidence of the paranormal – it is evidence of the limitations of the investigator. It is rare for any one person to possess the skills or knowledge to definitively identify the content of every alleged paranormal photograph presented to them. This creates a problem. Both witnesses and investigators search for answers and ‘I don’t know’ is often an unpalatable conclusion. The pressure exists for incorrect identification to occur, either on a conscious or subconscious level. Technology creates a paradox. There are now more cameras than ever in the world and more photographs have been taken this century to date than the total taken in the previous two. One source (3) says that in 2014, 1.5 billion new photographs were shared across all social media platforms each day. If something paranormal exists, then the chances of it being digitally caught are higher than ever. However, technology has also made it both easier to make mistakes and to manipulate photographs, leading to greater scrutiny and cynicism when analysing photographic evidence. 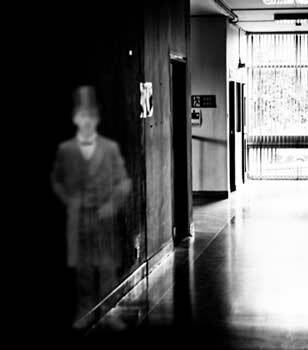 If photographic evidence of the paranormal exists, we may have already brushed it away as a Photoshop creation. An earlier version of this document first appeared on the Syfy blog. References and bibliography can be viewed here, book reviews read here, and a special preview of Haunted Cork here.